Drug and Alcohol Addiction Information Resource for Montreal, Qc. Montreal, widely considered a cultural center of North America, is the second largest city in Canada, the largest in the province. 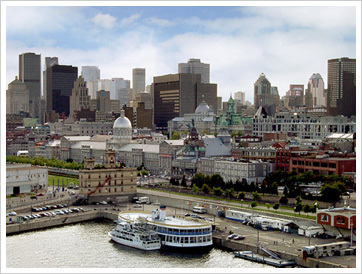 With a population of a little over 1.6 million persons in the City of Montreal, and over 3.6 million in the Greater Montreal area, Montreal is also the sixth largest city in all of North America. 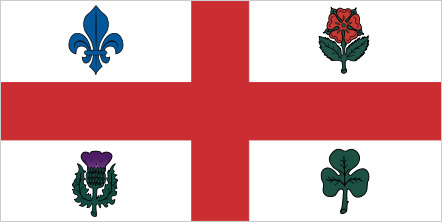 Although French is the official language, Montreal is a dual-language city with Francophones making up about 57 percent of the population, and Anglophones 19 percent. The vast majority of Montrealers uniquely has a working knowledge of both languages, using both in their everyday lives. Previously, Montreal was the financial and industrial capital of the country, due to its convenient island-location and bustling port. Today, it is the second largest economy in the country, the largest in the province. Often, the stresses and temptations of urban living can lead to struggling with addiction, including with alcohol and drugs. Montreal, despite its green spaces and joie de vivre, is no exception. The Quebec Institute of Statistics, as mandated by the Quebec Ministry of Health, conducts ongoing surveys of student smoking behaviour, integrating alcohol and drug use as associated risk behaviours. In the survey, 4,800 students in Secondary I through V from 150 high schools across the province responded. Overall, the rate of drug and alcohol problems in Montreal is 8.08%—one of the lowest of all Canadian cities. Alcohol use is widespread across Quebec’s students, with about 69 percent having consumed alcohol at least once in the 12 preceding months. This rate is similar to previous years, and remained stable with both the boys and girls surveyed. As well, usage is spread evenly between the two groups, although is slightly higher with girls. As of Secondary V, the vast majority of students have experimented with alcohol. Abstinence, for example, drops from 57 percent among Secondary I students to 11percent in Secondary II. High frequency alcohol consumption, on the other hand, increases from five percent to 36 percent in Secondary V.
The survey also found little change in the rate of drug use in Quebec’s students from year to year. Approximately 41 percent of high school students used drugs at least once in the 12 preceding months. Marijuana and hallucinogens were the drugs most commonly used, with approximately 40 percent of the students having smoked marijuana at least once in the 12 months prior. At Sobriety Home, we keep up-to-date on all the latest drug use and alcohol addiction research so that we can offer the best addiction treatment programs possible. New research allows us a better understanding of drug and alcohol addiction, resulting in better counselling, treatment, aftercare, and, ultimately, a more successful recovery process for you.